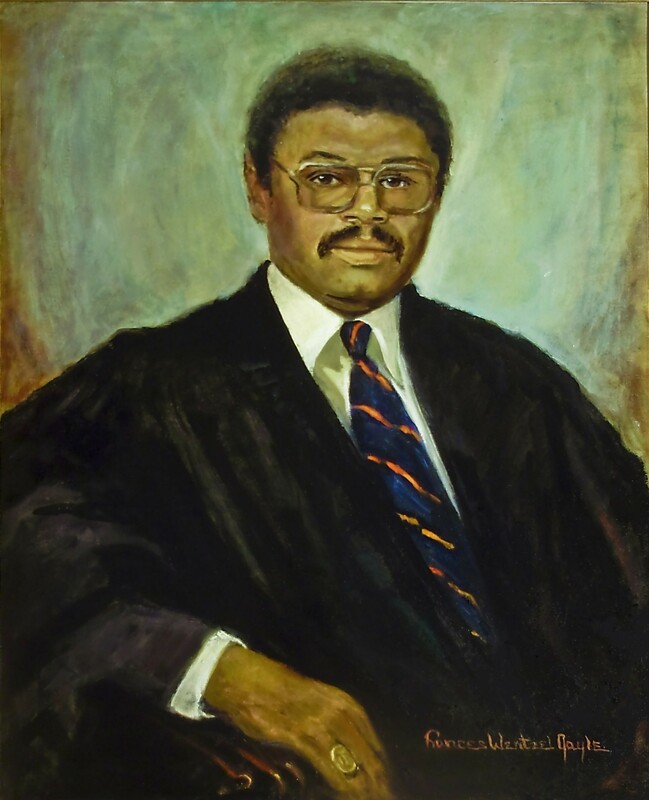 Appointed by Governor Charles S. Robb on April 11, 1983, to fill the vacancy created by the retirement of William Carrington Thompson and began his service on April 25, 1983. Elected by the General Assembly on January 30, 1984, to a 12-year term beginning February 1, 1984. Service terminated by resignation. Appointed, Celeste Bohlen, “John C. Thomas: Another First in a Career Marked by Distinction,” The Washington Post (1974-Current file) [Washington, D.C.], April 12, 1983: A10; 282 Va., lv; elected by the General Assembly, Journal of the House of Delegates of the Commonwealth of Virginia, 1984 Session, 348; resigned, 238 Va., iii; birth, education, and career, transcript of portrait presentation on November 2, 2011, published in 282 Va, liii; portrait unveiled in January 1984, Virginia Bar Association Journal, 1984; see also Denise M. Watson, Poetic Justice, published in Distinction, February 17, 2013, retrieved June 16, 2015.